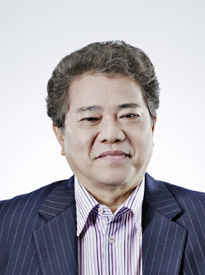 Gan Hiang Chye graduated from law school in 1970 and served in the Singapore legal service as deputy public prosecutor & state counsel; magistrate; deputy registrar of land titles and deeds; and deputy controller of residential property. He left the legal service in the mid 70s and has been practicing law in the private sector since mid-1977. His main areas of practice are corporate real estate law and commercial contracts. He has advised clients on structuring acquisition deals involving the application of several aspects of law and regulations, such as land titles registration; stamp duty ; property development and construction; company; banking, finance and securities; dispute resolution and enforcement. On the sell side, he has acted for housing and commercial project-developers; in collective sales; and for listed/unlisted corporations, foreign / local corporations and individuals. At various times, he has been recommended under the Real Estate section for Singapore law firms of The Asia Pacific Legal 500, listed under the Real Estate section of The International Who's Who of Business Lawyers and named in Euromoney's Guide to the World's Leading Real Estate Lawyers. In 2015, he was included in Best Lawyers in Singapore in the practice of Real Estate Law and in Who's Who Legal: Real Estate 2015. He has also appeared as counsel in various cases in the High Court and Court of Appeal. He served as Deputy President of the Strata Titles Boards for many years and for that and other public service, he has been awarded the Public Service Medal and the Public Service Star. Adis Villas; Dragon Mansion; Killiney Apartments; Rainbow Gardens; Sophia Court; The Aspine; The Wilshire; and Thomson Mansions. Gillman Heights, Silver Tower; Char Yong Gardens; Cairnhill Circle ; Hilltops; and Palm Beach Gardens. Acted for seller, inter alia, of commercial building 1 Finlayson Green; 60 Robinson Road; and the former SinSov Building. Former member, Ethics Committee of the Law Society of Singapore.